This map shows how much usable land is left for turbine installation with the new half-mile setback. 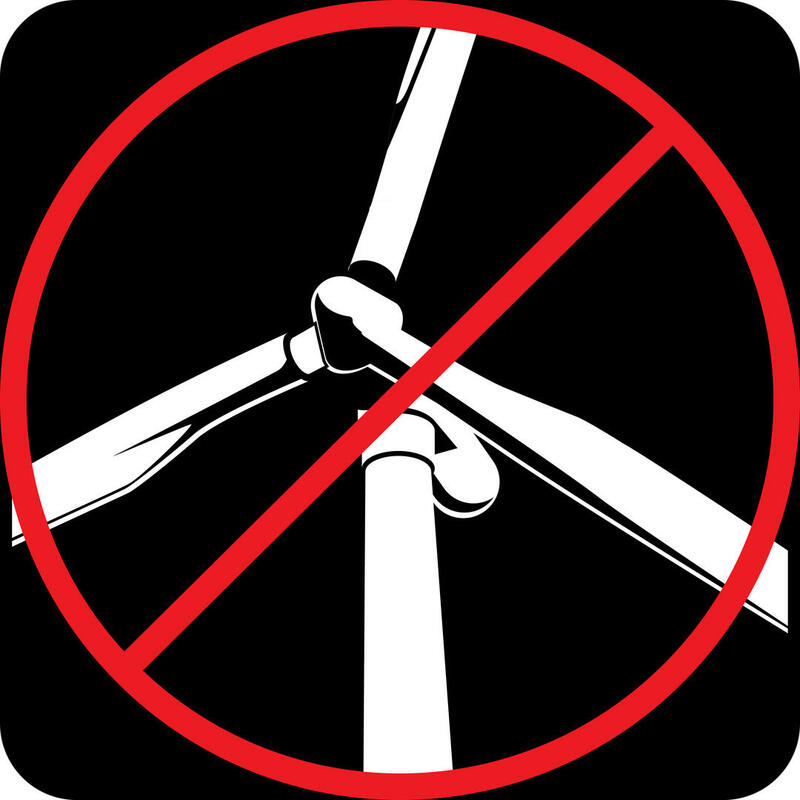 In the wake of the Lincoln County wind turbine setback vote, the Dakota Power Community Wind (DPCW) project now faces stricter regulation. A majority yes vote of 57 percent amends the current county ordinance, changing the minimum setback from a residence from a quarter mile (~1300 ft) to half mile (2640 ft). Additionally, DPCW must receive waiver permission from all residents who live within that half mile in order to build a turbine. Voter turnout showed higher attendance from those who live in and near the footprint of the wind project in southern Lincoln County and smaller numbers from residents closer to Sioux Falls. Around the beginning of 2014, DPCW, a southeast South Dakota coalition of landowners, ag groups, and businesses chose Lincoln County for wind power production because of its ideal terrain and location. They decided to create a roughly 23,000-acre wind farm of close to 500 turbines in four of Lincoln County's least populated townships: Lincoln, Pleasant, Highland, and Norway. Temporary measurement towers were built on-site to determine if the area's wind velocity would warrant South Dakota's largest wind farm. But since then, residents have been polarized. Winnie Peterson leads We-Care SD, a non-profit group of Lincoln County residents who find flaws with the wind project. Winnie says the setbacks are a means of protecting the community. Brian Minish is a board member of DPCW. Brian says Lincoln County is a strong wind source that can create production jobs and invite energy-conscious businesses to situate in South Dakota. As DPCW was conducting site research, gaining investors, and acquiring lease contracts with landowners who sought revenue from generated wind energy on their land, other community members felt they were losing sovereignty. So, in April 2017, the Lincoln County Commission came to a vote on a proper setback ordinance. Lincoln County Planning Director Toby Brown provides background on the setback amendment. 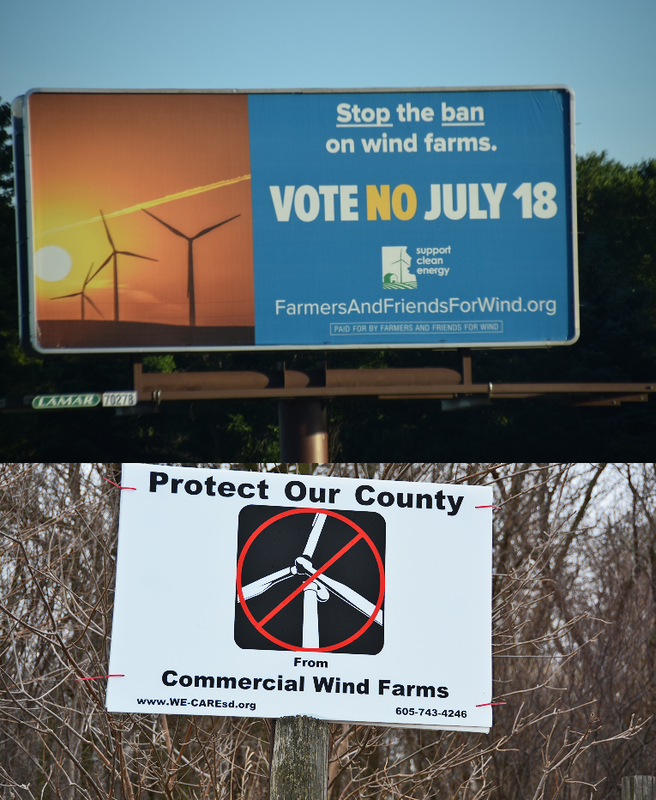 This pleased some, but DPCW and its campaign group, Farmers and Friends for Wind, saw the new ordinance as a threat to the project and a disregard for the economic benefits wind energy could bring to Lincoln County. Brian Minish says the setbacks are a way for anti-project residents to push the turbines out of Lincoln County. Brian mentions the Rock Island Line that would take South Dakota wind power to eastern states who can't produce it as cheaply and high revenues would ensue. And though the ordinance gave some of the control back to pro-amendment residents, they still felt vulnerable. The ordinance proved to be a bandage for both contending parties, loosely covering a wound that only grew larger from conflict. We-Care SD and its supporters contested that wind energy companies think with their pockets, bullying their way onto people's property and ignoring a myriad of consequences, including property value loss. David Brouwer of We-Care says people don't want to live among turbines. DPCW fought back, saying enrolled property owners would see profits. Brian Minish says DPCW will share revenues with property owners who enrolled to have turbines on their land. Winnie Peterson says 635 metric tons of carbon emissions are released into the air when building a turbine. Frank Kloucek says people aren't understanding how damaging the fossil fuels we currently use are. Cindy Thomas of rural Canton says she once felt a migraine and neck pain around a turbine because of infrasound. Brian Minish says an MIT study used unbiased tests to show that turbines at safe distances do not produce negative health effects. ...And community benefits from the project. David Brouwer says DPCW is speculating steep dollar amounts that will go to Lincoln County communities. Sara Bovill, a Lincoln County resident near Beresford, says landowners are not selling out and the project will bring money to the county and state. And despite the struggle for Lincoln County to find compromise in the wind farm debate, the state has adjusted the distribution of tax revenues from the wind project. Schools that lie in the four townships mentioned above will see decreased funding after five years of wind power production, and increased revenue will be distributed among all South Dakota school districts. This week's vote is a result of unyielding positions. DPCW wants to build county and state economies, adding 50% more annual wind production to the state's existing 26%. We-Care SD wants people to have more say in matters of their property. Now that the vote is over, county residents and DPCW have to decide where the future of renewable energy in Lincoln County and South Dakota is going.